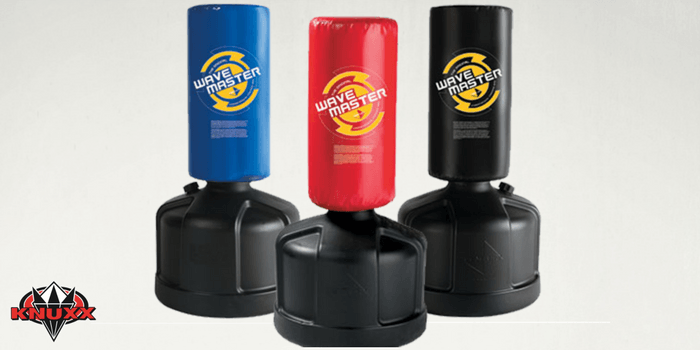 The Outslayer brand doesn’t have quite the name recognition as some of the bigger heavy bag providers, but what they lack in size they make up in quality, durability and support. The Outslayer heavy bag is a consistent top seller on Amazon and comes ready to use. The 100 pound version is durable and great for powerful hitters. Rating: We’ve given the Boxing MMA Heavy Bag 100 lb Weight a 4.9 star rating. From our research, and the reaction from our different testers, this bag impresses for the money. We would prefer a leather shell but that would increase the price. While leather is the preferred cover material for heavy bags that see lots of use, like in a gym, the heavy duty vinyl shell that comes on this Outslayer bag is still up to the task. Outslayer accomplished this with this bag. It comes with a rugged vinyl cover that you can use to transport the bag if you have to take it with you. But at one hundred pounds it doesn’t travel well! The filled bag measures 55″ and has 10″ straps double stitched to the top so it is hung without chains. You also have the option to add a D-ring to the base so you can tether it to a weight. It’s about 14″ in diameter. Outslayer created a bag that’s very durable but won’t break the bank. Outslayer proudly produces all of their punching bags and heavy bags in the USA. Because of this the shipping isn’t too expensive and they back their products. All heavy bags come with a 10 year warranty which protects the bag against any damage (excluding weather damage and sharp objects). It comes in a rugged black color with a large Outslayer logo. When buying a hanging heavy bag you have many options and you have to choose the bag that will for your chosen activity. You can get a classic bag that’s mainly used for punching or you can get a Muay Thai bag that you can punch, kick or knee. Ultimately you have to determine which bag works best for you based on a few criteria (get more detail in our Heavy Bag Buying Guide). The first thing you should consider is the size of the bag which you can usually figure out based on your weight and experience level. The next most important factors we look for are the shell material and the fill material. The shell is important because it’s what you’ll be pounding on for the next few years. You want something that will hold up to the abuse and not burst open – not to mention you need the cover to be sewn together VERY well. The filler is what will take all of those strikes so you want something that is durable, has a realistic feel, is uniform the entire length of the bag but is forgiving enough that you don’t injure yourself while working out. Cover and fill will contribute to the next thing we look for in a heavy bag test – durability. How long will the bag last and will it work today and in three years? Outslayer seems to think so and that’s why they back their bags with a 10 year warranty. This is the final thing we consider when testing/buying a hanging heavy bag, the support and warranty. 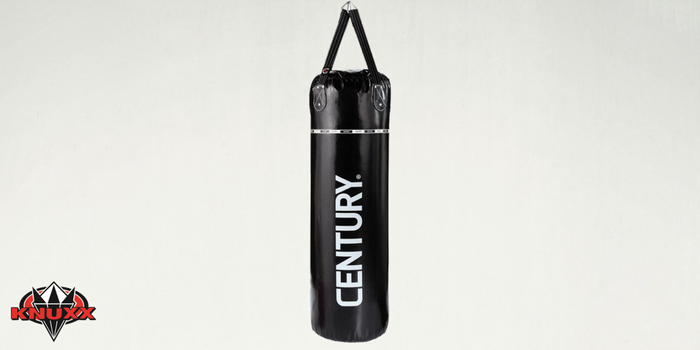 The 100 pound Outslayer MMA heavy bag is one of the best selling items in the classic hanging heavy bag category. Because it sells, and is rated so well, we wanted to test it out and add our honest opinion. One of the first things we liked about this bag was the price and the fact that it shipped already filled. There are several heavy bags that are priced just below this but they are self-filled. That isn’t something we wanted to deal with as it can be difficult finding 100+ lbs. of filler material that will give you the consistent punching feedback that we need in a bag. Before ordering it’s clear that Outslayer is trying to build a long-standing company that supports their products. The 10 year warranty is impressive. For a product that’s designed to get beat up you have to make sure that you design something that will handle the abuse. One thing we liked is that you can get it with a D-ring. A D-ring is a metal loop that’s shaped like a “D” and is sewn onto the base of the bag to which you can affix a base weight that helps tether the bag, provide resistance and keeps the bag from swinging uncontrollably. You just have to send them a message when you order the bag and they’ll add it for you at no cost. On Amazon the bag is sold in Black only but the bags are actually offered in many different colors. Again, if you visit the Outslayer site you can see the different color options – just send them a note when you order your bag from Amazon and ask them to send you the color of your choice. We found this heavy bag to be ready to go right out of the package (which just so happens to be the heavy duty vinyl carrying bag that comes with it). You don’t have to worry about chains to hang the bag and it’s designed to be hung from just about anything that can support the weight. You can hang from the ceiling, from a heavy bag stand, a beam or other items. The sewn on straps are sturdy and after months of abuse don’t show any signs of ripping or weakening. 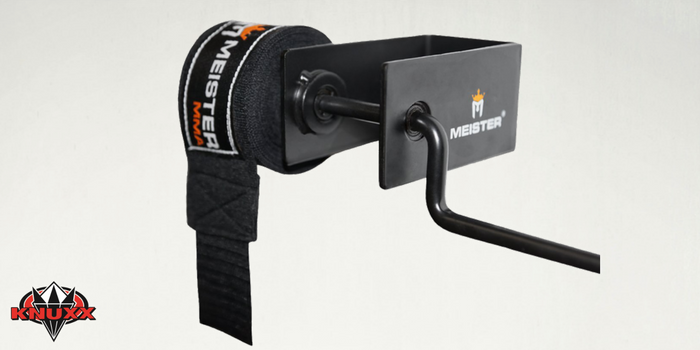 If you want to hang the bag over a beam you can get Outslayer’s universal heavy bag nylon strap. Finally, this bag is filled with shredded fabric and it gives one of the best, and consistent, punching experiences of ANY heavy bag. Especially a bag of this price range. 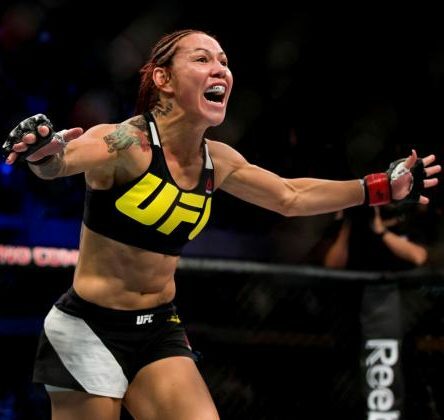 The impressive “thwack” you get when you land a solid punch is very rewarding and will help you along your way to your goals. 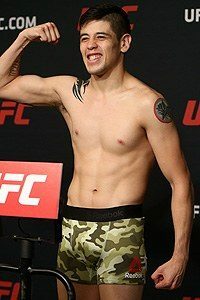 Who should get the Boxing MMA Heavy Bag 100 lb Weight? This bag is great for anyone looking for a 100 pound heavy bag. If you’re over 180 lbs or an experienced puncher this bag will reward you with a sturdy punching surface and enough resistance to break a sweat – but not break any bones or the bank. This is an individual product review for the Boxing MMA Heavy Bag 100 lb Weight, if you want to read about the best Hanging Bags, then you need to check out our Best Heavy Bags Review. Click on any of the tabs below to get more details about the Boxing MMA Heavy Bag 100 lb Weight.